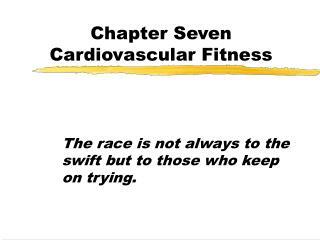 Cardiovascular Fitness. 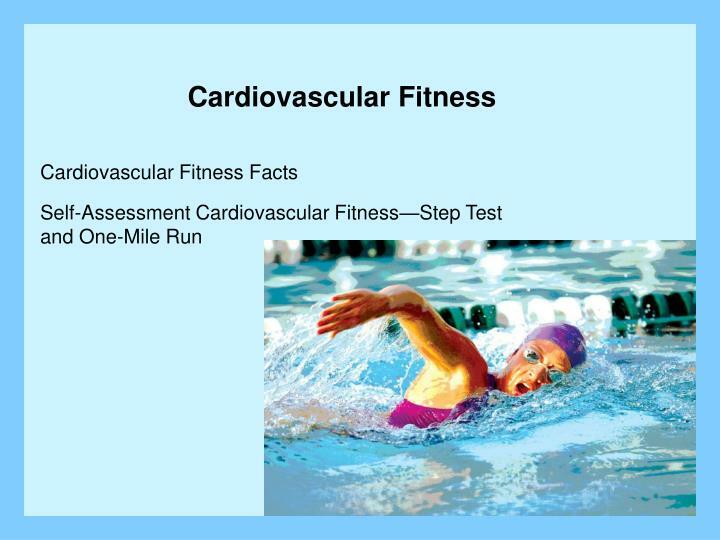 Cardiovascular Fitness Facts Self-Assessment Cardiovascular Fitness—Step Test and One-Mile Run. 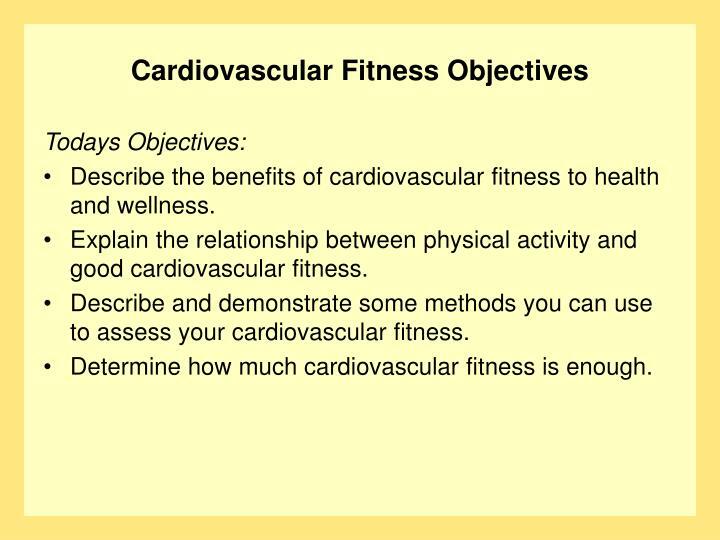 Cardiovascular Fitness Objectives. 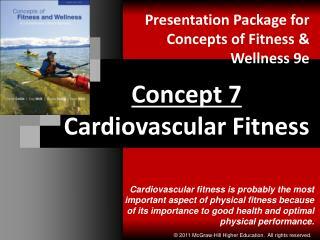 Todays Objectives: Describe the benefits of cardiovascular fitness to health and wellness. 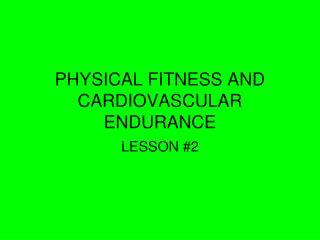 Describe the benefits of cardiovascular fitness to health and wellness. 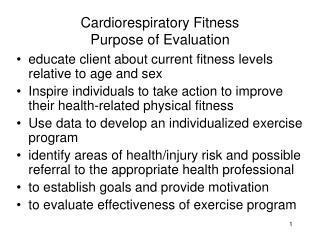 Explain the relationship between physical activity and good cardiovascular fitness. 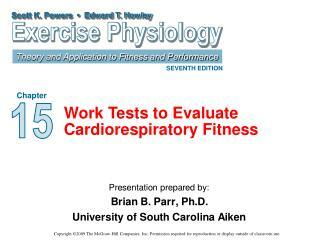 Describe and demonstrate some methods you can use to assess your cardiovascular fitness. 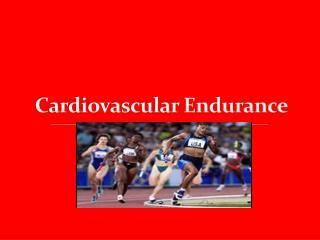 Determine how much cardiovascular fitness is enough. 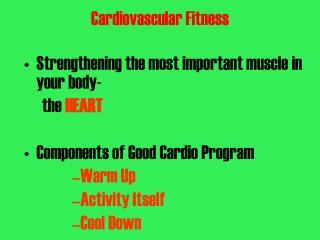 A high level of fitness means that you have a healthy cardiovascular system. 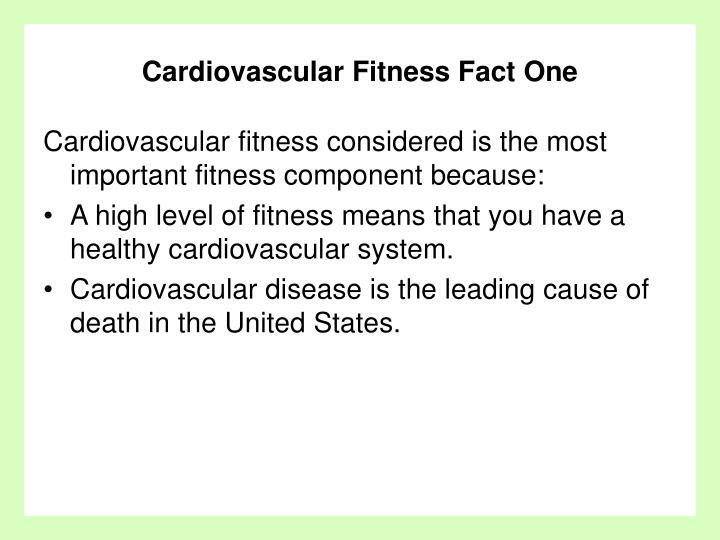 Cardiovascular disease is the leading cause of death in the United States. 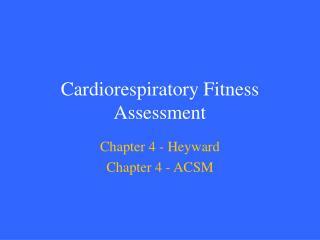 The heart, lungs, and blood vessels make up these systems (the cardiorespiratory system). 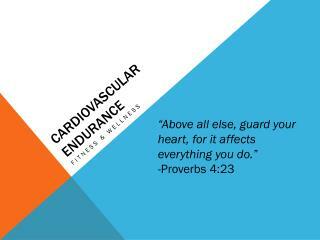 The heart transports blood (carrying oxygen and nutrients) around the body. 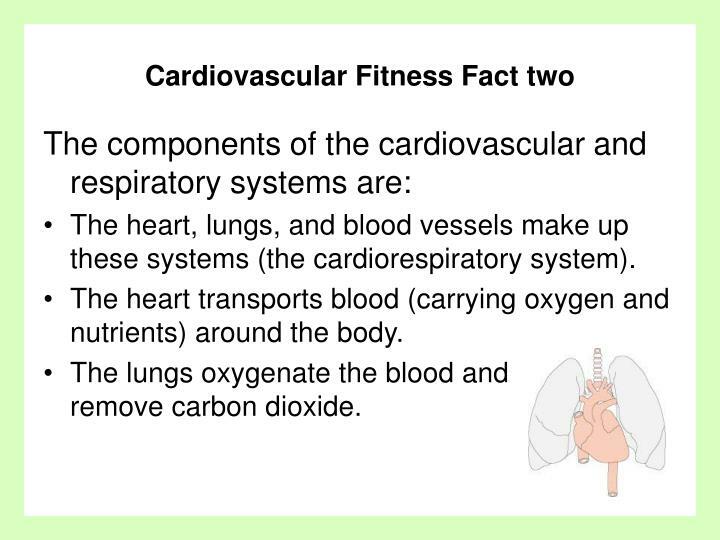 The lungs oxygenate the blood and remove carbon dioxide. 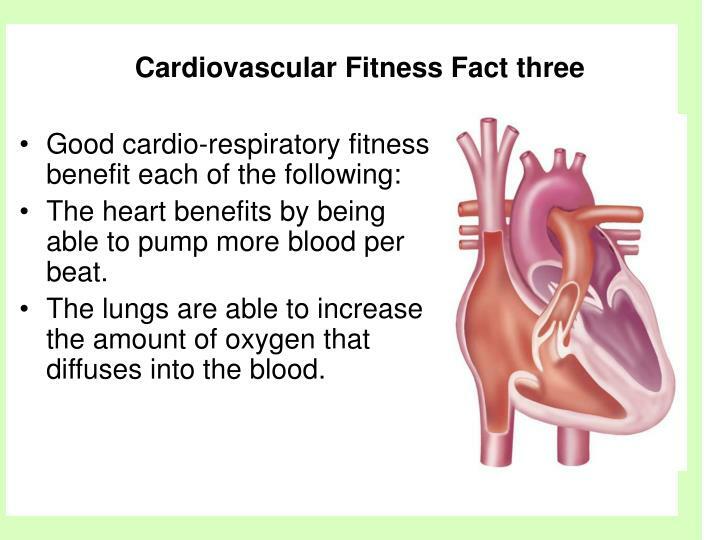 The heart benefits by being able to pump more blood per beat. 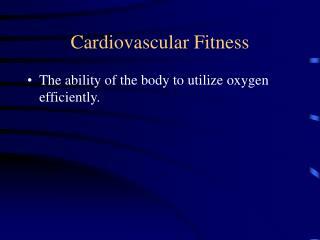 The lungs are able to increase the amount of oxygen that diffuses into the blood. 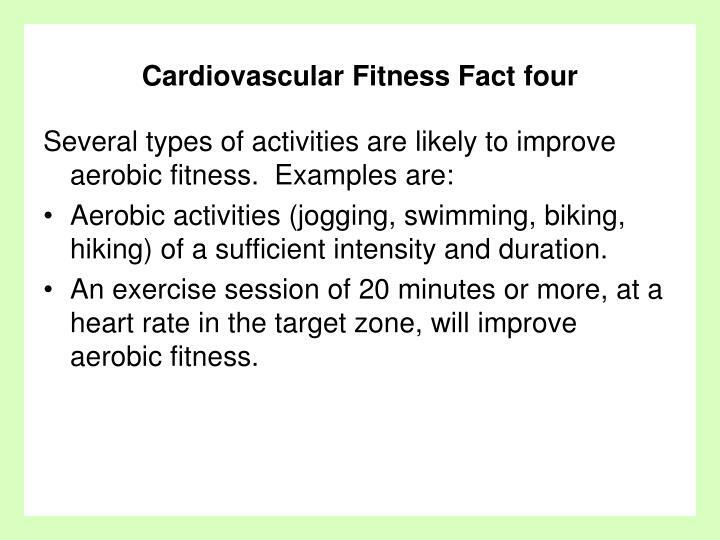 Cardiovascular Fitness Fact three cont. 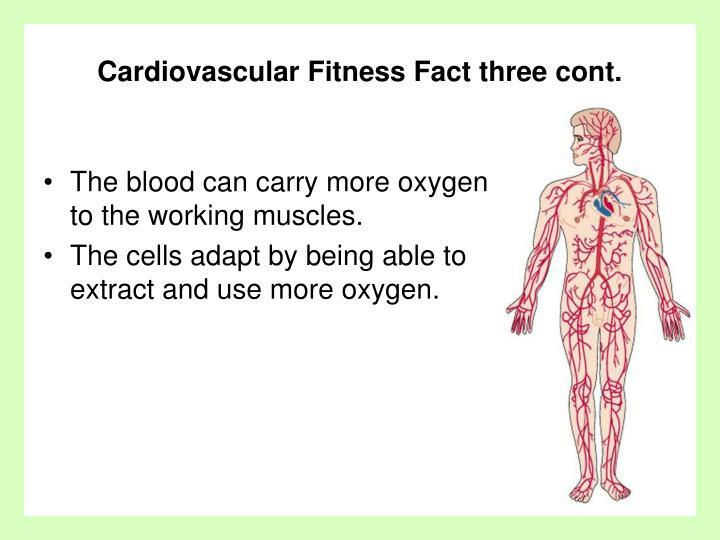 The blood can carry more oxygen to the working muscles. The cells adapt by being able to extract and use more oxygen. 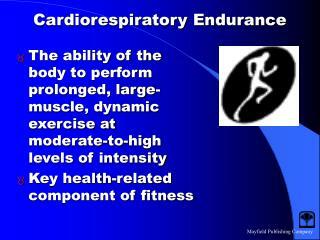 Aerobic activities (jogging, swimming, biking, hiking) of a sufficient intensity and duration. 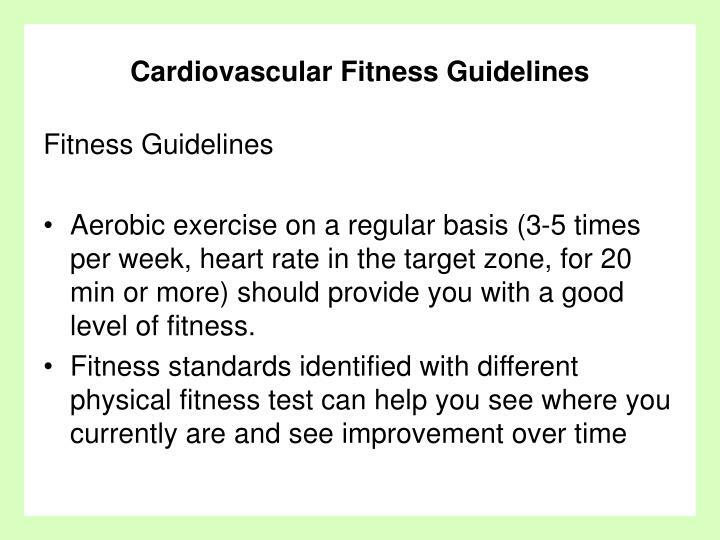 An exercise session of 20 minutes or more, at a heart rate in the target zone, will improve aerobic fitness. 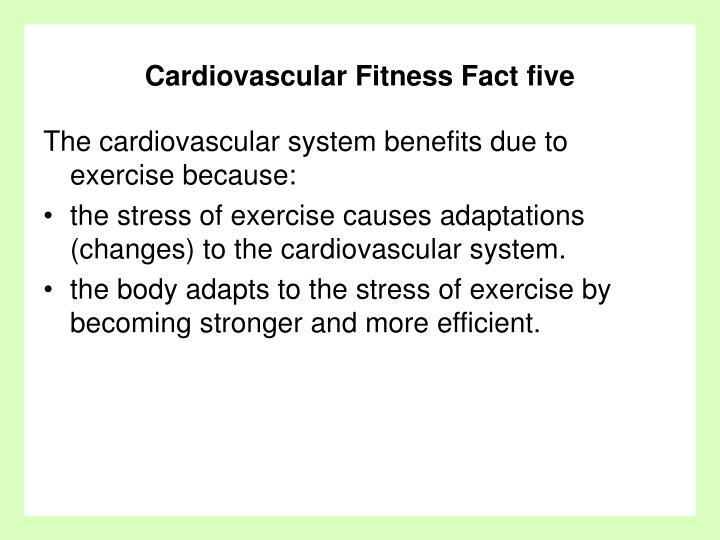 the stress of exercise causes adaptations (changes) to the cardiovascular system. 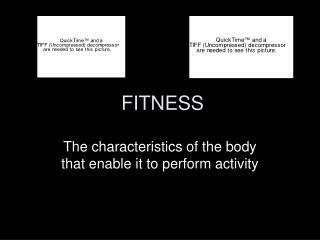 the body adapts to the stress of exercise by becoming stronger and more efficient. 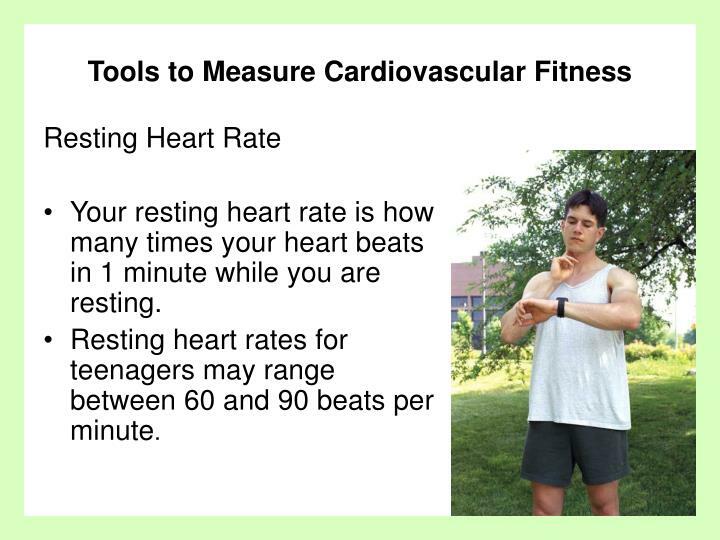 Your resting heart rate is how many times your heart beats in 1 minute while you are resting. Resting heart rates for teenagers may range between 60 and 90 beats per minute. 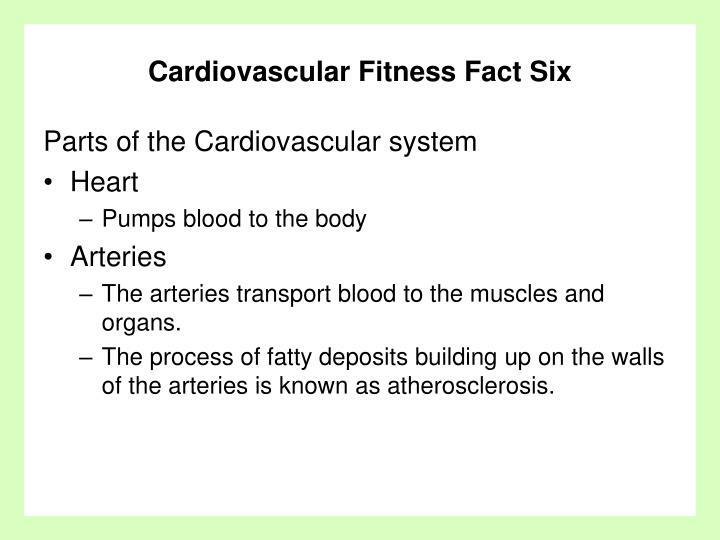 The arteries transport blood to the muscles and organs. 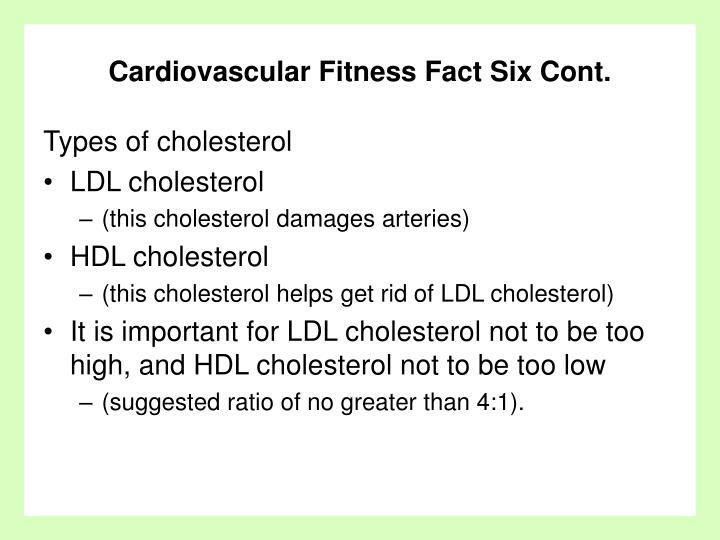 The process of fatty deposits building up on the walls of the arteries is known as atherosclerosis. 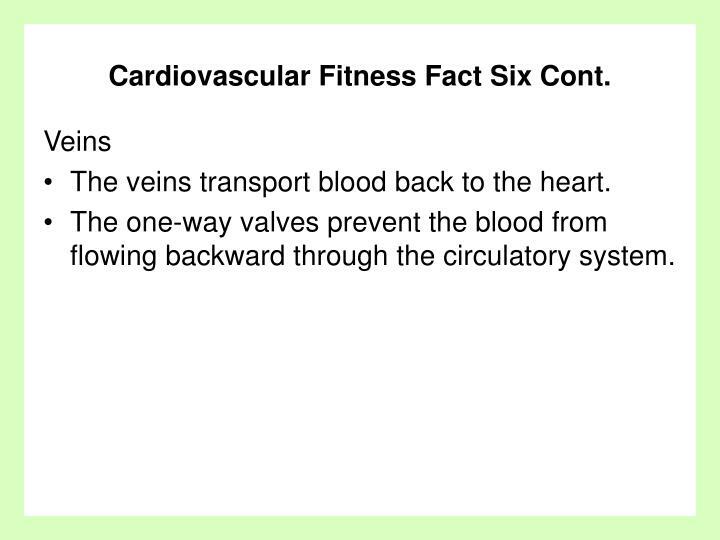 Cardiovascular Fitness Fact Six Cont. (suggested ratio of no greater than 4:1). The veins transport blood back to the heart. The one-way valves prevent the blood from flowing backward through the circulatory system. 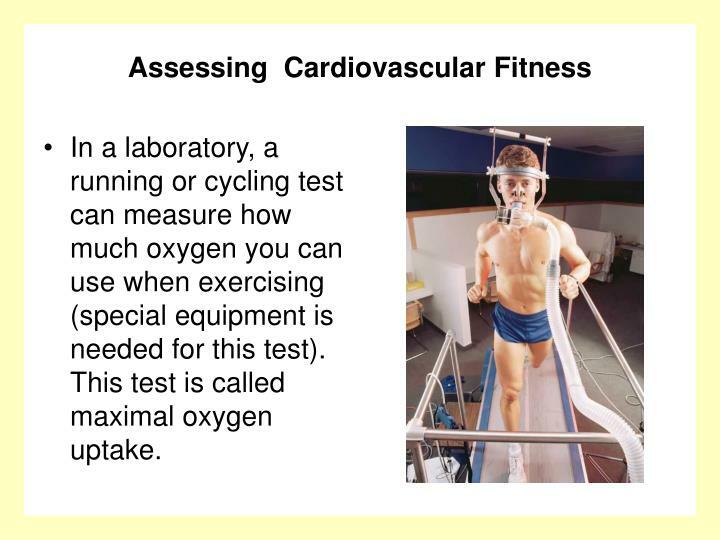 In a laboratory, a running or cycling test can measure how much oxygen you can use when exercising (special equipment is needed for this test). 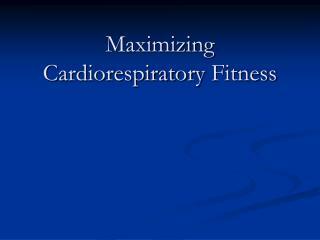 This test is called maximal oxygen uptake. 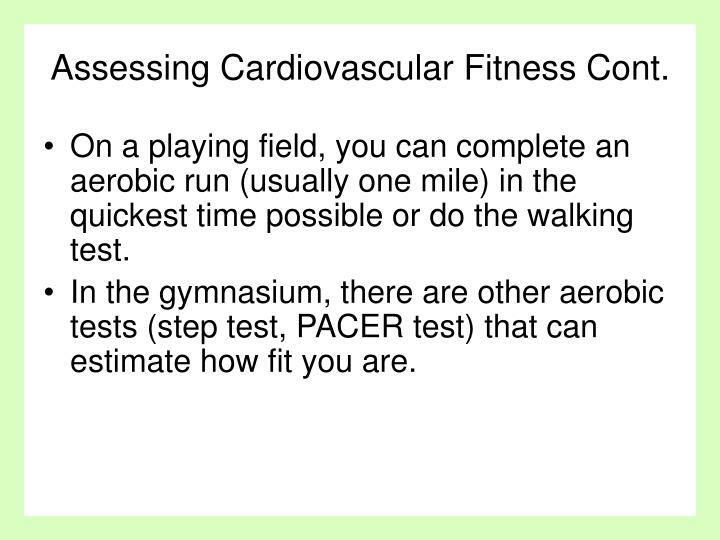 On a playing field, you can complete an aerobic run (usually one mile) in the quickest time possible or do the walking test. 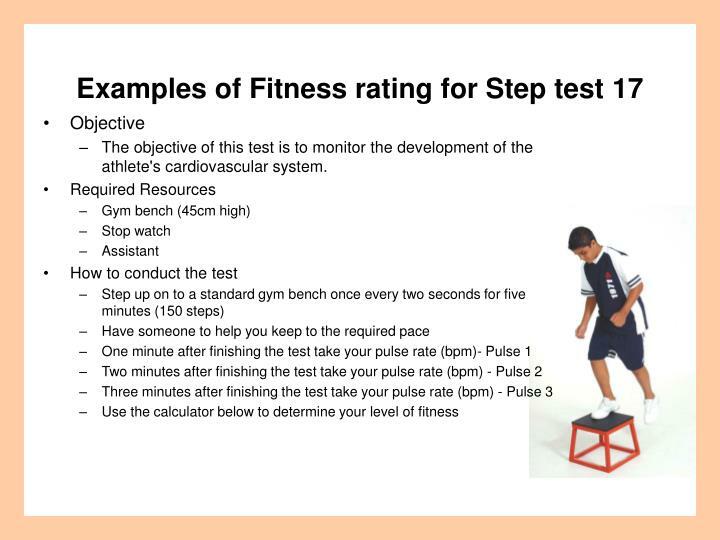 In the gymnasium, there are other aerobic tests (step test, PACER test) that can estimate how fit you are. 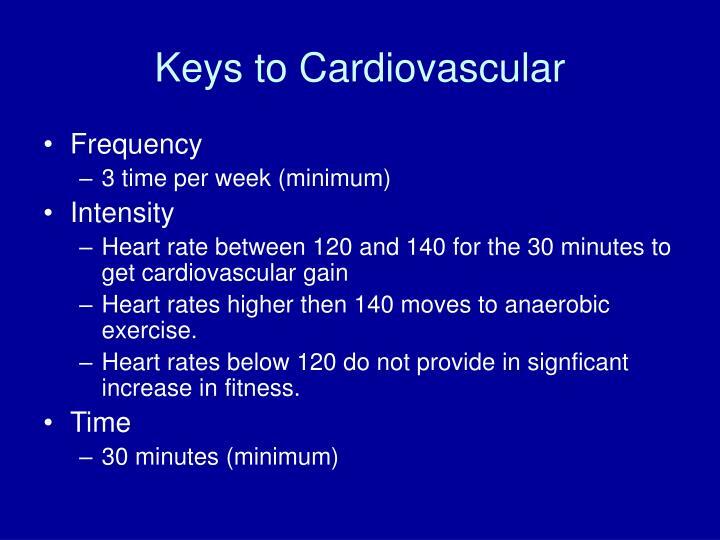 Aerobic exercise on a regular basis (3-5 times per week, heart rate in the target zone, for 20 min or more) should provide you with a good level of fitness. stopwatch, smooth and level marked 1 mile track, paper and pencil. 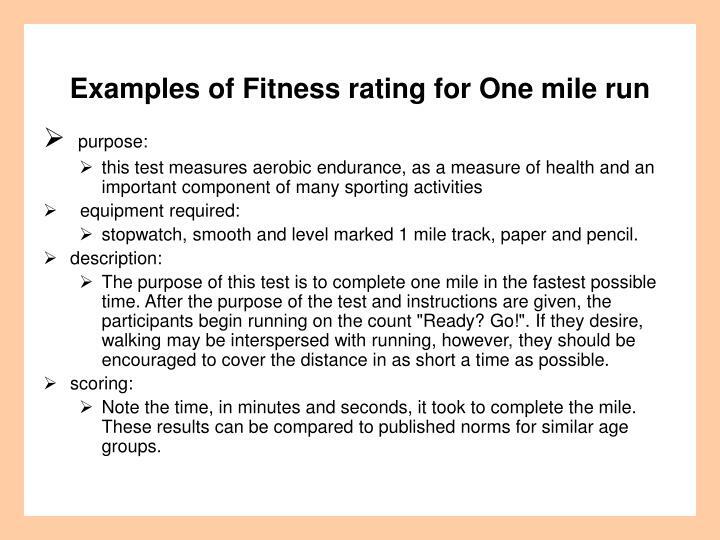 The purpose of this test is to complete one mile in the fastest possible time. After the purpose of the test and instructions are given, the participants begin running on the count "Ready? Go!". If they desire, walking may be interspersed with running, however, they should be encouraged to cover the distance in as short a time as possible. Note the time, in minutes and seconds, it took to complete the mile. These results can be compared to published norms for similar age groups. 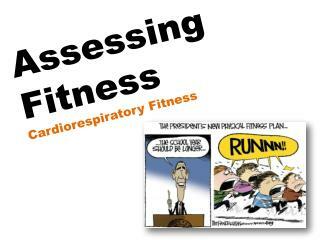 Explain the difference between aerobic activity and anaerobic activity. 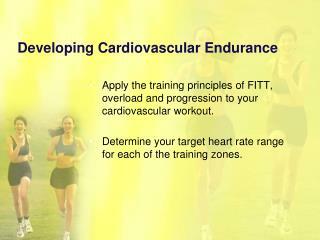 Describe the FIT formula for developing cardiovascular fitness. 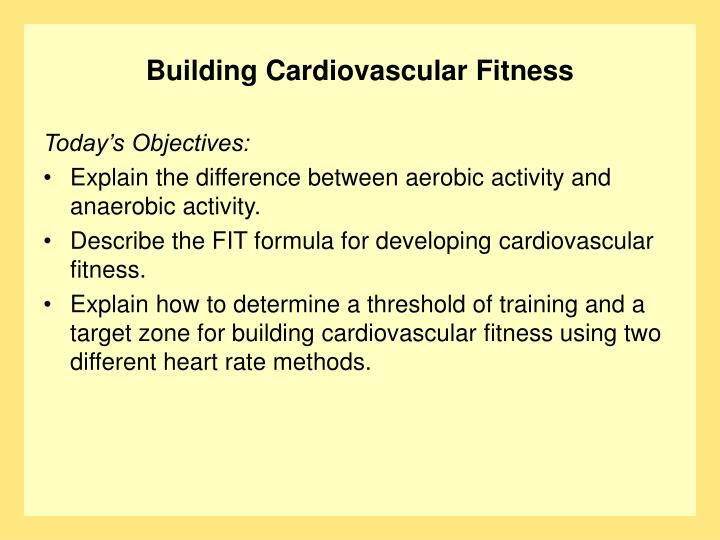 Explain how to determine a threshold of training and a target zone for building cardiovascular fitness using two different heart rate methods. 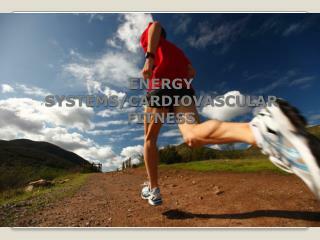 Aerobic exercise means exercise you can sustain for long periods of time. 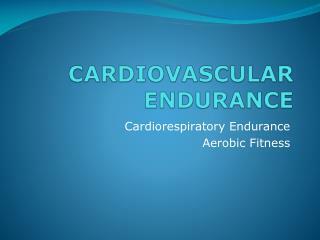 Aerobic fitness is the same thing as cardiovascular fitness. 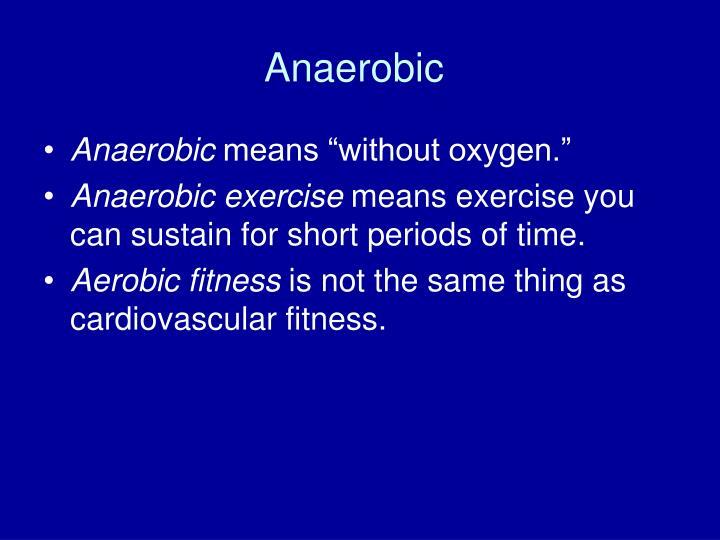 Anaerobic exercise means exercise you can sustain for short periods of time. 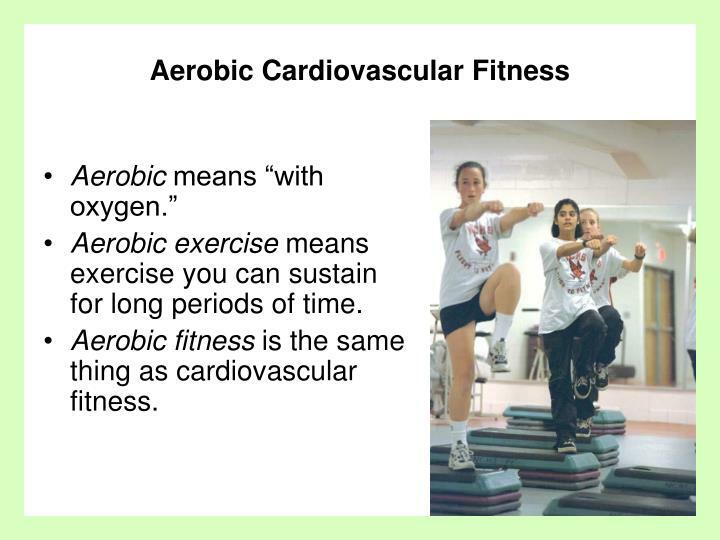 Aerobic fitness is not the same thing as cardiovascular fitness. 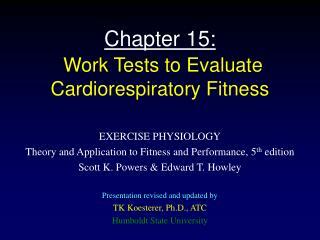 Heart rates higher then 140 moves to anaerobic exercise. 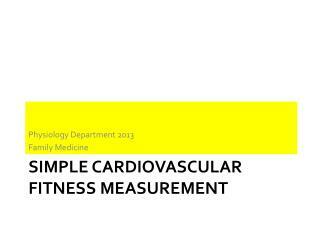 Heart rates below 120 do not provide in signficant increase in fitness. 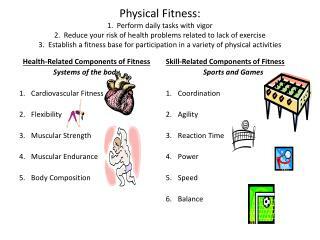 Health-Related Components of Fitness Systems of the body Cardiovascular Fitness Flexibility Muscular Strength Muscular E -Physical fitness: 1. perform daily tasks with vigor 2. reduce your risk of health problems related to lack of exercise 3.